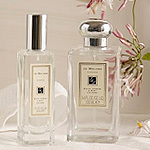 I have just received the new White Jasmine & Mint fragrance from Jo Malone that I mentioned a few months ago. If you’re looking to buy someone a birthday gift or even a Christmas pressie (yes Christmas is once again nearly here!) this is a perfect buy. It comes beautifully packaged in a small cream and black Jo Malone box with cute ribbon to hold it together, and when you spray the perfume the smell of the jasmine and mint will fill the room with familiar autumn scents. The fragrance follows a whole list of natural scents including Nutmeg & Ginger, Lime Basil & Mandarin, Blue Agava & Cacao to name a few, all formulas are made from familiar smells such as spicy, floral and citrus scents and you can even combine fragrances. If you visit the official Jo Malone White Jasmine & Mint website you can purchase the fragrance for £30 (30ml) or £59 (100ml).